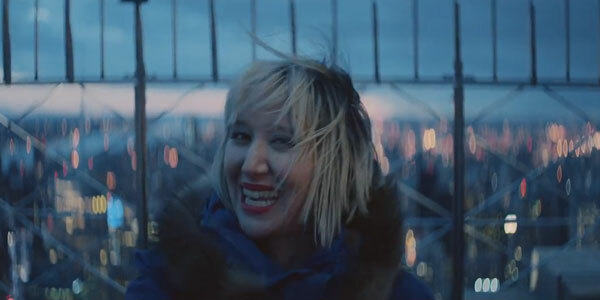 When the Yeah Yeah Yeahs opted to shoot the video for the band’s new single, “Despair,” atop the Empire State Building, the trick was pretty innovative. No one has ever shot a music video on top of the Empire State Building before, although movies like Sleepless in Seattle have certainly beat the band to the honor. Still, the group found it fitting to be able to shoot a video for a song as solemn but uplifting as “Despair” at the top of the building, and the look of the video does seem to suit the song. For nearly two minutes of “Despair” Yeah Yeah Yeahs singer Karen O is singing about the titular feeling being present through her “wasted days” and “wasted nights.” That’s the crux early on in the song, actually, but not the crux of the experience of being up on the roof of the Empire State Building, looking down upon New York City at night. That experience is actually exhilarating and beautiful, and as the band members make the journey to the top of the building, the song picks up in pace and lifts in mood. The video was directed by Patrick Daughters and had to frequently be shot via a helicopter camera that hovered above. It was windy, and conditions were not favorable, as the crew shot the video between 2 a.m. and sunrise. However, for Karen O, it was a great moment in her career. “Despair” is the second single off of the Yeah Yeah Yeahs’ fourth studio album, Mosquito. The album dropped on April 16 and is available via iTunes and other outlets.